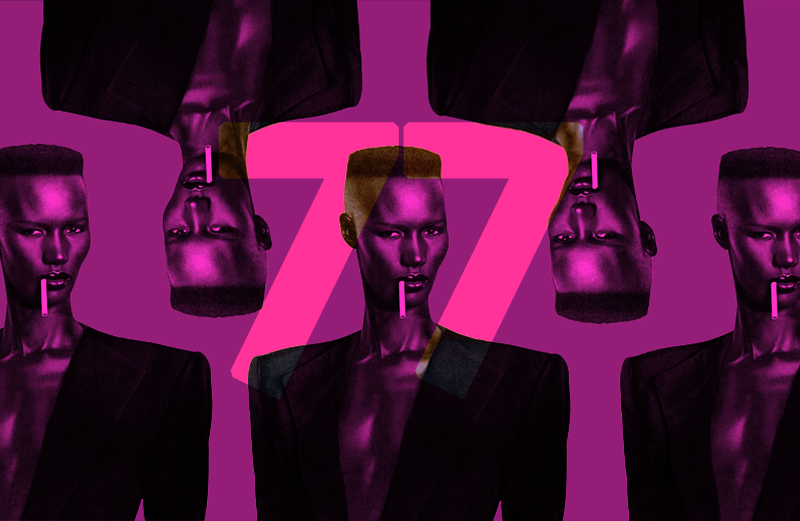 From gay disco Queen to badass Bond Girl, Grace Jones is one of the most outré and outrageous artists of our time. With a new BBC documentary on the slate for 2017, Wrongtom collates her unlimited capacity for dub with this one-hour tribute mix. I think I was eleven when I came home from my local video shop with a massive cut-out advert for a film called Vamp. For the uninitiated, Vamp is a lurid slice of ’80s schlock starring an entirely mute Grace Jones as the titular vampire who adorned the cut-out which soon sat at the foot of my bed. I’d doze off with a green-skinned Grace Jones, baring her bloody fangs and leaping at me. My love affair with Miss Jones’ music started later but I was already fascinated. Pop anomaly, dub chanteuse, go-go queen, and Zula out of Conan The Destroyer. Chart music has rarely been so good. I’d later discover Sly & Robbie were behind so many of my favourite Jones moments, and as I delved into music production myself, I found the hidden depths to those Compass Point recordings an endless source of inspiration. I often spin yarns and ponder my fantasy collaborations but top of my dream jobs list would be a crack at those tapes, I’d kill to get my dubby hands on tracks like ‘Private Life’ and ‘My Jamaican Guy’. Grace Jones Meets Wrongtom? Just saying.